Caution: Only make this when you are prepared to devour the whole thing in one sitting. Ok, that's an exaggeration. But it is so stinkin' good you will want to eat the whole thing. Trust me. I wouldn't call my husband a picky eater by any means, but he is pretty picky about what kind of cake he gets for his birthday. He has to have an angel food cake with special frosting. So, you can make this your favorite too! 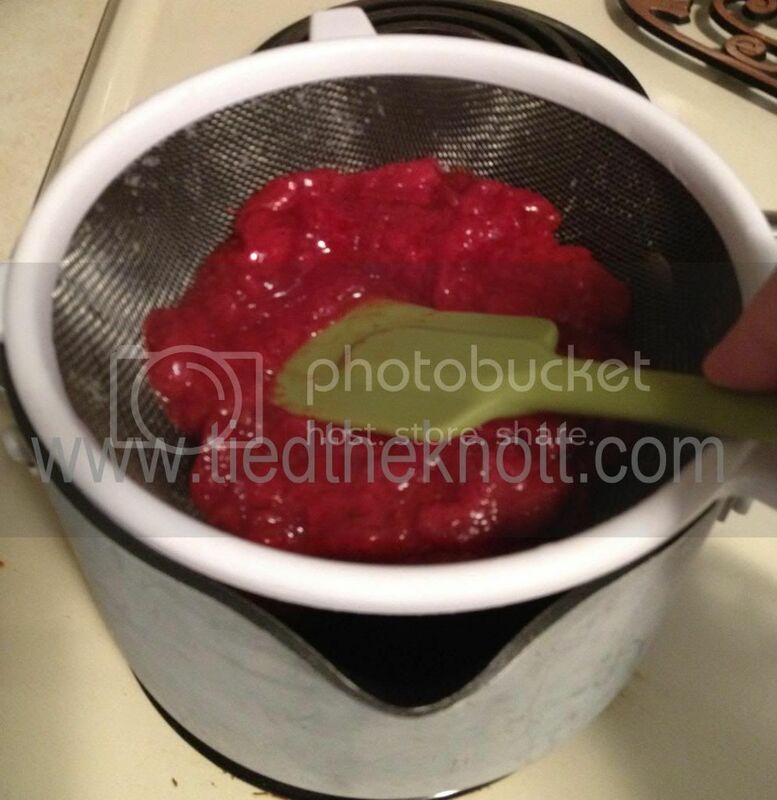 Pour the thawed strawberries in a mesh type strainer and smoosh into the sides so you get out all of the juice you can possibly get. Have the juice drain into a kettle on the stove. When the juice is all out of the strawberries, toss the mush (or make a smoothie) and add gelatin to the liquid mixture. 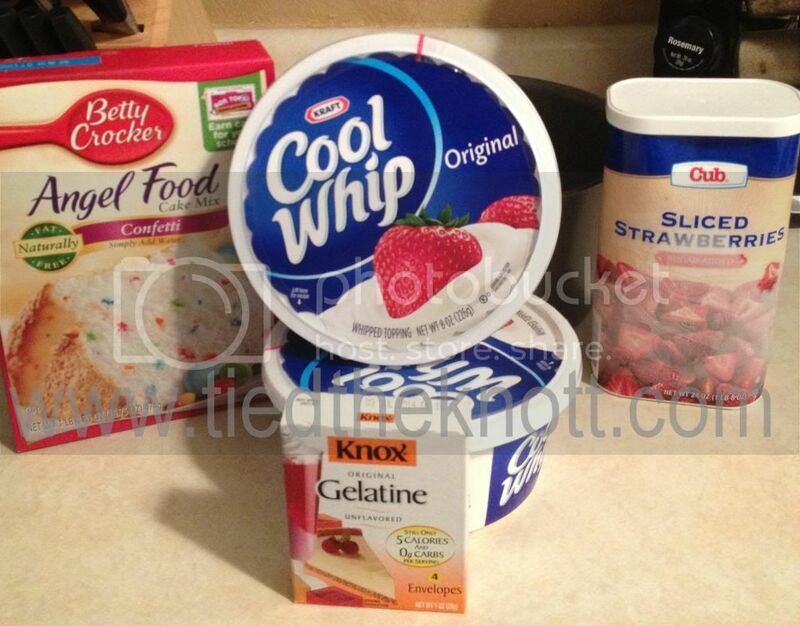 Bring the juice/gelatin to a boil stirring constantly. While bringing this to a boil, make the angel food cake according to directions on package and turn onto a bottle to let cool (we use soy sauce). This must cool completely or you will have a flat mess. When the gelatin/juice mixture boils, remove it from heat and put the kettle (on a hot pad) in the fridge. 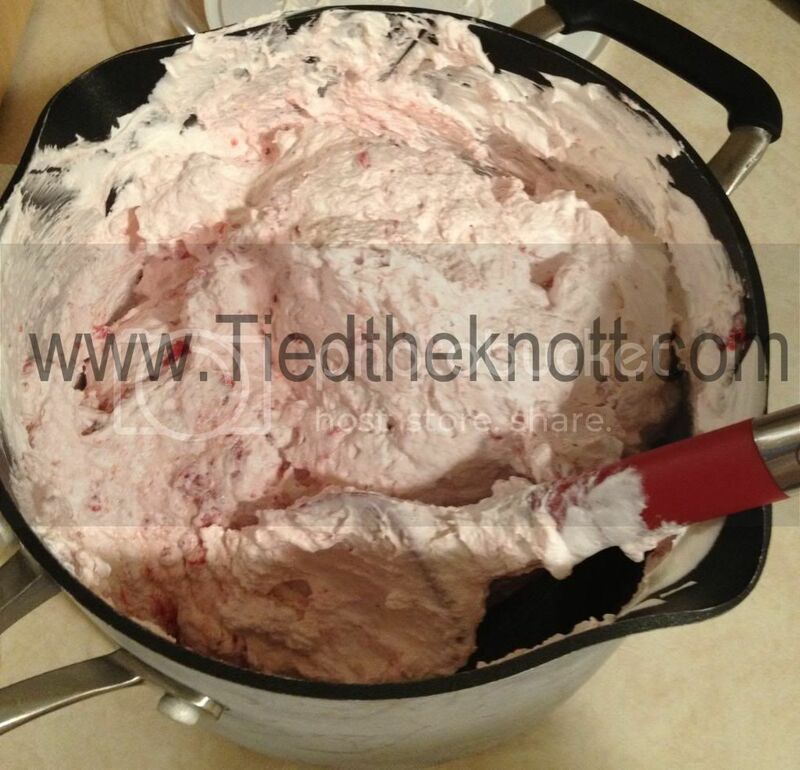 We want to now cool it down completely so it doesn't melt the Cool Whip. You'll have to stir it about every 10-15 minutes so it doesn't turn to a sheet of Jello. When the cake is cool, cut it in half and put the bottom of the cake on your serving tray (you won't want to move it when it's done...). 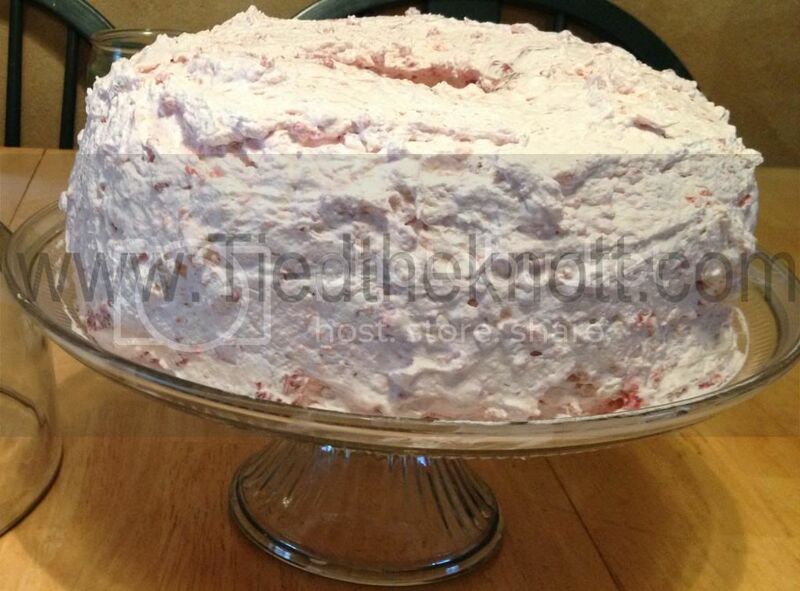 Spread a layer of your frosting on the serving tray portion of cake. 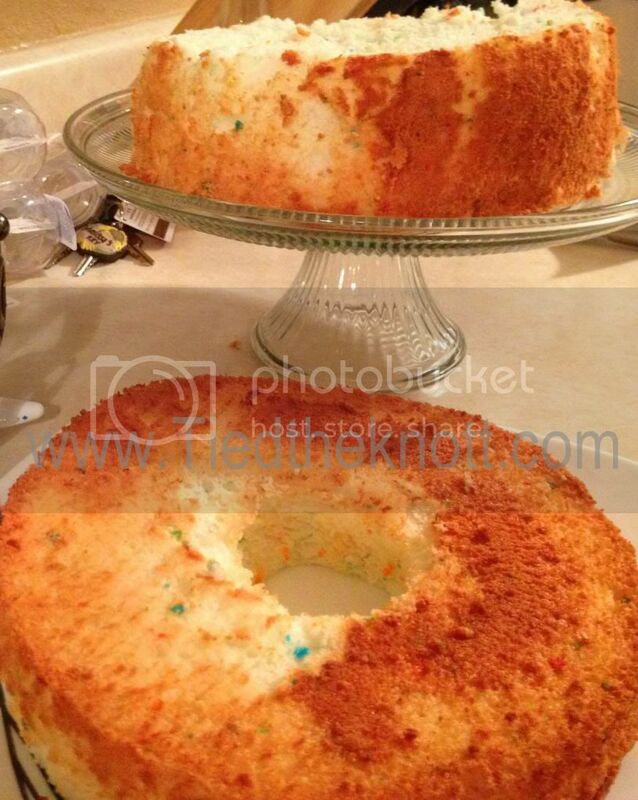 Place the top of the cake on top of that first layer and frost the cake in it's entirety.